With the upcoming Where the Wild Things Are movie release date, many people find themselves falling in love all over again with the 1963 children's book. 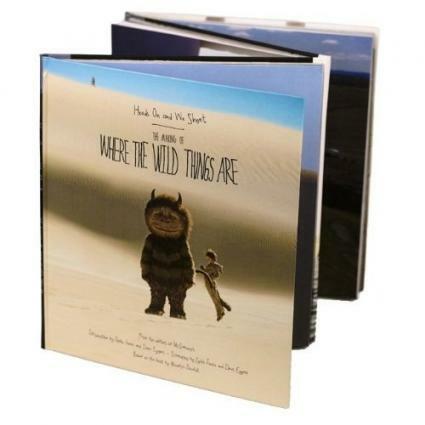 Written by Maurice Sendak, the book has been well loved for the past 45 years. With the release of the book as a full-length motion picture, the book is slated to become a popular children's movie for the present and future generations. In Where The Wild Things Are, there is a boy named Max. In nine sentences, the book tells the story of Max's mischief. One night, he spends his night making a wolf costume and is punished as a result. He imagines a boat and an island to which he sails away. There, he meets the wild things and is declared "the King of all Wild Things." The wild things are giant creatures, though while appearing frightening, are friendly and loving towards Max. The end of the book shows Max back at home waiting on dinner and disappointed that the wild things are not real. The book is often cited as being too scary for small children. As large, over-sized creatures, the wild things themselves may occur some nightmares in film form. Many worry that perhaps the film, directed by legendary director Spike Jonze, may be too graphic for small children. Spike Jonze is best known for films such as Being John Malcovich, Adaption, The Game, and Three Kings. He was chosen for the movie due to his ability to bring film off of the screen and stay true to the idea behind a script. The screenplay for the film was written by popular author David Eggers (best known for the semi-autobiographical novel, A Heartbreaking Work of Staggering Genius). The Where the Wild Things Are movie release date is scheduled for October 16th, 2009. The film will open to a national audience in a wide allotment of theaters. The film will also be simultaneously released to IMAX theaters and combines live action, suitmation, animatronics and CGI. A trailer of the film can be found on the movie's official website. The film adaption features many of the popular actors and actresses of Hollywood such as Max Records (as Max), Catherine Keener (as Max's mother, Connie), Mark Ruffalo (as Connie's boyfriend), Forest Whitaker (as Ira), James Gandolfini (as Carol), Lauren Ambrose (as KW) and Catherine O'Hara (as Judith). Much attention has been given by the film's staff to create an experience for the viewer. The film has been reshot several times (following leaked Internet footage) and Jonze stated that much of the film was shot with a handheld camera to preserve the film's feeling. Michelle Williams was initially cast as the role of KW, the female Wild Thing, but was later recast to Lauren Ambrose in order to preserve the effect of how the character was meant. Following a strong advertising campaign, the film is expected to be an opening weekend smash. 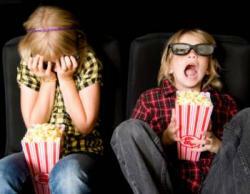 The film has been advertised in numerous children's film releases (such as Harry Potter and Disney Pixar's UP) over the past year and has been followed up by a large television campaign. The film has also had several editions of movie posters printed that are expected to become collectible items. Touted by many as one of the greatest children's books of all times, the film version of Where the Wild Things Are certainly has a large hype around it. Given the popular culture significance of the film and the numerous delays involved in creating a film version, the movie is even more significantly hyped. However, much like other films, it is important for fans to remember to focus on the movie and try to forget the adaption from the book. In many film adaptions, fans will often criticize the film for not following the script closely enough. However, especially in the case of a short children's book, fans need try and let the little things go.